U.S. Rep. Paul A. Gosar (R-AZ) recently called for support from the U.S. Army Corps of Engineers (Corps) in the removal of salt cedar trees, an invasive species, along the Gila River. 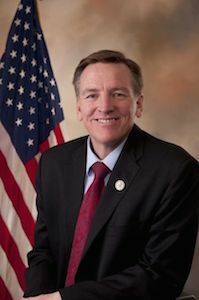 Gosar joins U.S. Sen. John McCain (R-AZ) and U.S. Rep. Raul Grijalva (D-AZ) in this request, which was posed to Assistant Secretary of the Army for Civil Works Jo-Ellen Darcy. Along the stretch of the Gila River for which the legislatures requesting intervention, the vegetation is made up of almost 60 percent salt cedar. Estimates on the impact of their removal suggest that this action could conserve 50,000 acre-feet of water each year. Gosar has been working to take action on the salt cedar in this area since February 2014.